When Bond first came out in 1962, adults and children alike flocked to see each movie. Bondmania struck an all-time-high around the releases of Goldfinger and Thunderball, the former of which was so successful that theater owners played the movie 24 hours a day to meet demand. However, as the series aged and the children who grew up with Bond got older, so did the fan base. True, parents showed Bond to their children and many kids did love 007, but sometime in the early 80's and up through the release of GoldenEye, Bond became more of a "Dad's hero" than an everyone's man. By the mid 80s, Moore had aged a bit too much for the part and the movies were filled with older actors and actresses. That's was no problem for true Bond fans, but not a good way to gain interest with the younger generation. In fact, the only thing the producers did to combat this trend, the inclusion of Grace Jones as MayDay in A View to a Kill, was a huge mistake and example of miscasting. In 1986, the producers hired Timothy Dalton who, while he may have done a fine job, was too serious for the role. Although children did enjoy Dalton�s movies, the films lacked something that the older ones had and were soon forgotten. 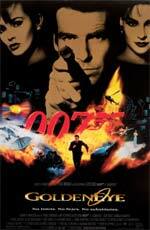 Few people saw Licence to Kill and became obsessed with the series. While that was the first Bond film that I saw in theaters and although I enjoyed the movie, it was the TBS marathons that really kindled my love for 007. 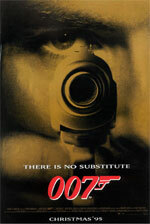 After Licence to Kill, there was the 6 year gap before GoldenEye's release in 1995. In the nine years since its release, Bond and the Bond movies have become parts of pop culture again. No matter what your opinion of Pierce Brosnan�s movies, they are once again cool. It�s cool to see a Bond film; kids talk about Bond with each other at school just as often as adults talk about him at the water cooler at work. As webmaster of this site I get scores of e-mails from young fans (some as young as 7) who tell me how they love the series and how XYZ is their favorite Bond movie for one reason or another. The best part is that these kids aren�t all saying that The World is Not Enough or Die Another Day are their favorites; it�s just as likely that they will choose From Russia With Love or The Spy Who Loved Me. 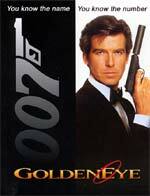 This renaissance began with GoldenEye: both the movie and the video game for Nintendo 64. The movie was essentially an action packed spectacle with a average plot and character development, but it revived and updated the 007 character for a whole new generation. Pierce Brosnan�s portrayal of Bond was hip, suave and filled with Connery-esque nuances; a far cry from Dalton�s grim take on the role. Essentially, Brosnan created a character that the average person could relate to again and surrounded that portrayal with all the classic Bond elements: action, adventure, intrigue, beautiful locations and women, the British Secret Service, etc. In addition to the GoldenEye movie causing an entire generation to rediscover James Bond, the Nintendo 64 video game that followed sparked an added tidal wave of interest. In living rooms and college dorms across America, people devoted countless hours roaming around the Facility, the Library and more, looking for that RCP-90 and trying to avoid getting the Klobb. It was a video game that everyone could play and enjoy, regardless of their skill level, and the 4-player mode only enhanced that fact. Meanwhile, the Bond theme is blaring in full stereo and players are introduced to older characters such as Baron Samedi and OddJob. Between the game and the movie, by the time Tomorrow Never Dies was released two years later, a new form of Bondmania had struck the world. While it will never again reach the fervor-pitch of the 1960s, Bond is certainly more popular now than it has been in decades. Additionally, since GoldenEye�s success, TV channels across the world have begun to play the classic Bond films much more than before. Here in America, SpikeTV runs Bond marathons almost every other month, introducing a whole new generation to Sean Connery, George Lazenby, Roger Moore and Timothy Dalton. Perhaps the only down-side of Bond being cool again is that it regained its popularity after what was essentially a glorified action movie. Since GoldenEye, the bar seems to be raised every movie in terms of chases and things blowing up. Unfortunately, at times this comes at the price of plot and character development. It seems unlikely that we will see a return to the From Russia With Love formula any time soon, since the GoldenEye formula is bringing in more money than ever before.